A dental crown is a tooth-shaped cap that is placed over your existing tooth – encasing it above the gum line and cemented into place. Dentists usually recommend crowns as a restorative procedure to repair injured or decayed tooth. A dental crown procedure can be achieved in a single appointment but it may take two dental appointments, in this scenario: the first appointment is used to take measurements, create the moulds and place the temporary crown; and second, to place the permanent crown, following its fabrication at the dental lab. The computer-aided CEREC technology eliminates the steps required for impression taking and the temporary crown, by allowing the dentist to create and place the permanent crown at the dentist’s office, on the same appointment. Whether you receive a temporary or permanent crown, it is important to know the after-care tips for both types, in order to optimize the treatment results. As the name suggests, temporary crowns are only meant for short-term placement – usually a few weeks at a time. 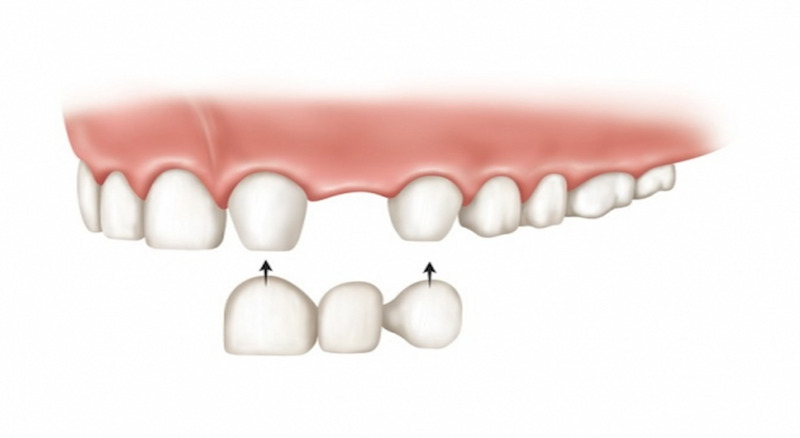 They are used to cover and protect the tooth that needs to be restored, until the permanent crown can be applied. While waiting for the more aesthetic-looking and precisely fitting permanent crown, you should avoid foods that may stick to or dislodge the crown. For this reason, dentists advise against eating caramels or chewing gum during the intermediate period. Similarly, foods that are hard to the bite – like beef jerkies or raw carrots –are best avoided when wearing a temporary crown. You may continue floss to clean in between your teeth, but gentleness is advised when doing so. Although permanent crowns are built to last, and require less care than a temporary crown, good care habits are equally encouraged. Depending on how well you look after your dental crowns, they have an average lifespan of five to 15 years. To ensure the optimum lifespan for your dental crowns, you should take care to avoid the following: Grinding your teeth, biting ice cubes, chewing nails or using your teeth to tear open sealed packaging. Conversely, you ought to brush and floss regularly. Such good oral habits will keep tooth decay at bay, as a dental crown is just as susceptible to bacterial infections as your natural teeth. To better clean the areas around your crown, an antibacterial mouthwash can do the job effectively. Click here for more Cosmetic Dentist Sydney or more dental veneers information. How Can Dental Implants Help?